The Lace Market Theatre joined forces with the Nottinghamshire NUM Ex and Retired Miners Association for their recent production of Happy Jack. Happy Jack tells the life story of Jack Munro a collier from Upton a small village in the West Yorkshire coalfield. Jack left school at fourteen to spend his entire working life at Frickley Colliery. After the Wednesday and Friday Performances, Eric Eaton and John Adams from the miners association gave post show talks. On the Wednesday the talk focused on the work of this voluntary organisation and on the Friday the subject was the history of mining illustrated with many photographs of mining techniques through the ages. It was evident from the question and answer session that followed the talks that they had been greatly appreciated. It was also notable the affection that Nottinghamshire people have for their mining communities. A collection was made on behalf of the miners association at the end of each evening. 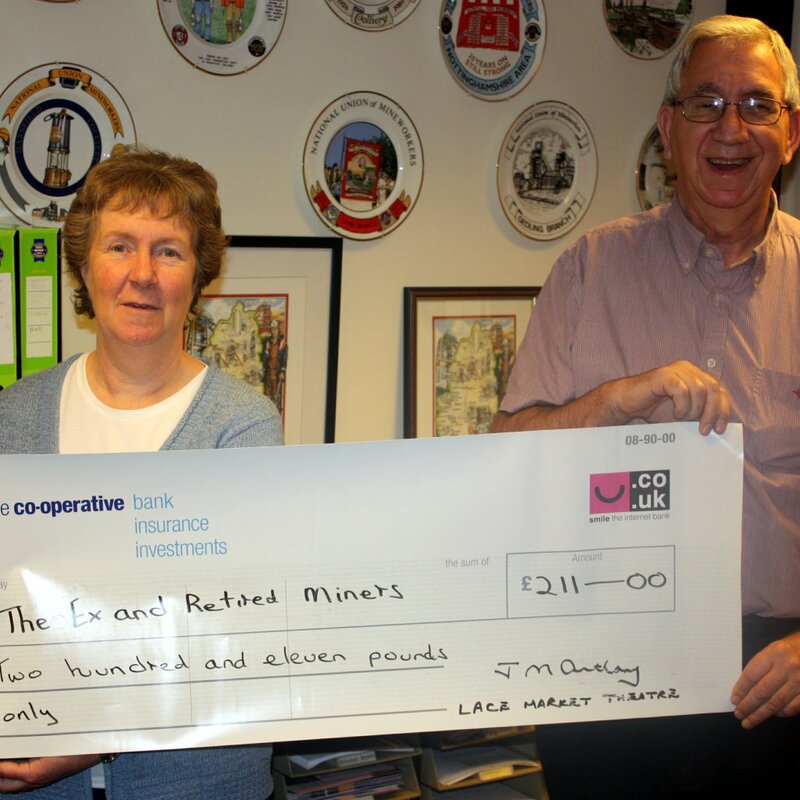 The Lace Market Theatre would like to add their heartfelt thanks to the Â£211 generously contributed by its patrons. The performances of Happy Jack at the Lace Market Theatre were mostly played to full houses. In addition a further performance at Syerston Village Hall had organisers scurrying around for extra seating as some additional patrons just turned up on door. The cast and crew had great fun and are keen to stage further events like the one in Syerston and so if you know an organisation that would like to hold a fund raising event on a profit share basis then please contact Beverley Anthony here.